Las Vegas Restaurant Guide Continued - Here are our favorites! We love to hear of great restaurants we haven't tried, or if you have anything to add about one we mention please click here to share your Las Vegas best Restaurants reviews. Below are some more of our favorites organized by type of restaurant. We like a variety of food and I will tell you the good and the bad of each. If you have any favorite Las Vegas restaurants that you think we should try or that you would recommend to others, please click here to Review a restaurant in Las Vegas. If there is somewhere that we absolutely must avoid, please also review it so we and others know to avoid it. So bookmark this page or get out a pen and pencil and try these out. If we are craving pizza there are 2 places we go on the Strip depending on where are the strip we are. 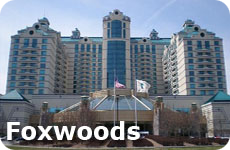 They are both Wolfgang Puck restaurants as we know he can do Pizza well! We try to visit Wolfgang Puck restaurants everywhere we go as I love them! Spago is one of the original Wolfgang Puck restaurants. We have never had a bad meal here, especially the pizza! Location: Caesars Palace Forum Shops - close to the Casino. Food Style: Italian and Pizza. Pros: Food and service is excellent - it's Wolfgang Puck after all! Cons: Pizza can be expensive but is worth it! We really enjoy the classic wood fire pizzas at Spago Las Vegas. It is a great Las Vegas Italian restaurant located in the heart of the Caesar's Palace Forum Shops. We have eaten there a few times and enjoy it every time. Make sure you request a table outside as part of the charm of the restaurant is watching the people walk by in the Forum Shops. 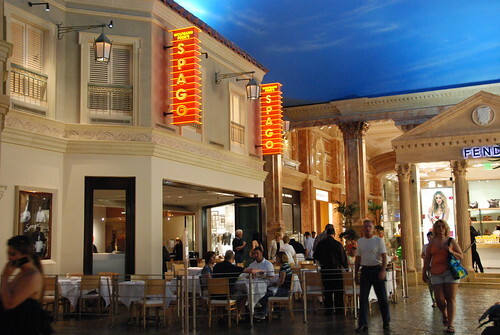 Spago Las Vegas was the second Spago restaurant that Wolfgang Puck opened in North America. Make sure you try the goat cheese spread that comes with the bread when you first sit down. It is to die for! According to the reviews on Tripadvisor the Meatloaf is not to be missed either. I will make sure we try it the next time we are at Spago and I will report back here. So if you are looking for a great Las Vegas Italian restaurant, or are just looking for lunch while shopping in the Caesar's Palace Forum Shops, check out Spago! We have dined at the Wolfgang Puck Bar & Grill a couple of times. one of our visits was in February 2009 before we went to see Craig Ferguson (the comedian). We were out of time and only had about 45 min before the show started - they really accommodated us - especially as it wasn't busy on the Sunday night. It was a great meal even if it was a little rushed - on our part - not theirs. Food Style: Bar and Grill. Cons: Can't think of any other then they can be busy! Since Feburary of 2009 we have probably eaten here at least once each time we stay at the MGM in the Skylofts. 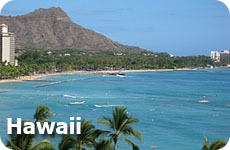 The food is consistently good and the service is excellent. Do you have a favorite Pizza place in Las Vegas? Share it in our Las Vegas reviews? Sometimes in Las Vegas, after a long morning of sitting by the pool, visiting the casinos, or walking the strip, nothing hits the spot better than eating a great sandwich. Here is our pick for a great sandwich! 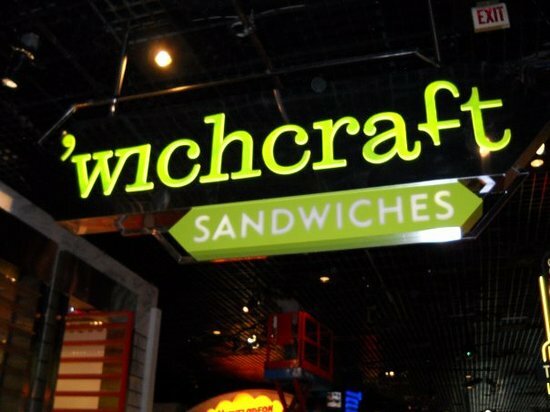 If you are looking for a Las Vegas restaurant for a quick sandwich or breakfast and are up the MGM way of the strip 'Wichcraft is our favorite! They create made to order sandwiches that will blow you away. You can choose a Panini, salad, soup or sandwich. The food is all fresh and just amazing! Location: MGM Grand Studio Walk by the Arcade -almost at the pool area. Pros: Food is excellent and fresh. Cons: Can get really busy at lunch time - especially if there is a convention in town. If you visit the pool and stay in the cabanas in the off season, the food delivered to your cabana comes from 'Wichcraft. It is always awesome! Do you have a favorite sandwich restaurant in Las Vegas? Share it in our Las Vegas dining reviews?